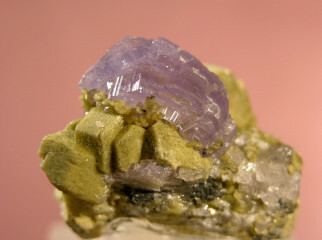 Several rows of hexagonal lavender crystals of fluorapatite to 2.5 cm on a matrix of tan siderite crystals. The specimen has wonderful aesthetics, color, contrast and luster! A winner!!!! 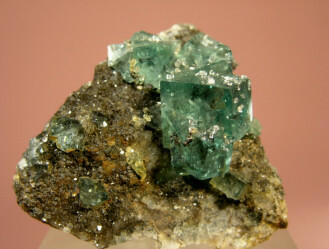 One of the lesser known fluorite localitites in England, and many times accredited to Durham county. 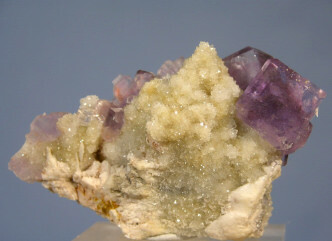 Very light, lustrous yellow cubes of gemmy fluorites with light purple edges. Worked in the 1940’s, again in the 1970’s, and shut down by 1983. 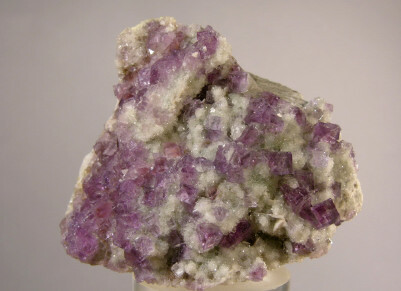 Lustrous and gemmy, medium purple cubes of fluorite with beveled edges on a matrix of off white tiny quartz crystals. This particular pocket was found in 1993 and is noted for the magnificent overall quality and perfection of the crystals. Oustanding example of the find! 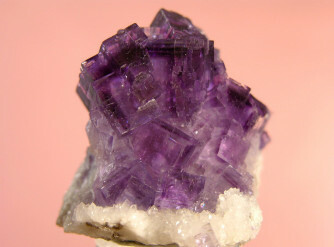 Water clear, light purple zoned crystals of fluorite with beveled edges, on a matrix of tiny quartz crystals. Choice small miniature! Medium purple, lustrous intergrown cubes of fluorite with dark purple zones sit on a matrix of drusy quartz. 360 degree display specimen! A stunning group of deep green, penetrating twins of faceting grade fluorite are sprinkled with gemmy and glistening quartz crystals. Sorry, but the photo does not do the specimen justice. Superb miniature! 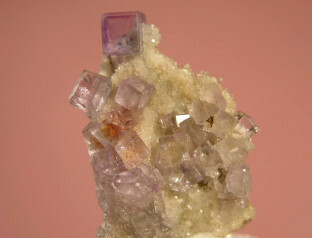 Medium purple, gemmy cubes of fluorite associated with quartz crystals and barite. Some incomplete crystals that are not really noticeable. Overall a very displayable and pretty specimen! 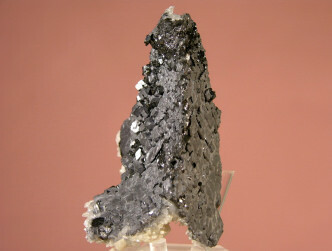 A very unusual galena specimen consisting of two plates (one straight, one curved…yes curved!) acting as hosts for tiny galena cubes that resemble a miniature city seen from above. 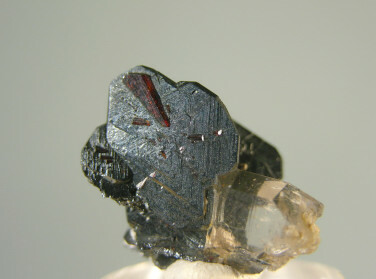 These are sprinkled with tiny sphalerite crystals. 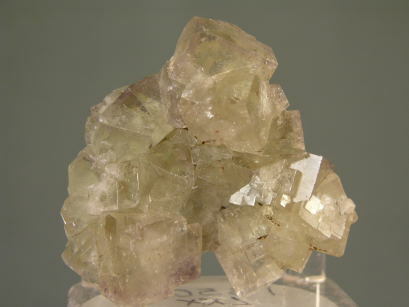 The rear consists of off white calcite prisms and tiny quartz crystals. Bizarre and beautiful! 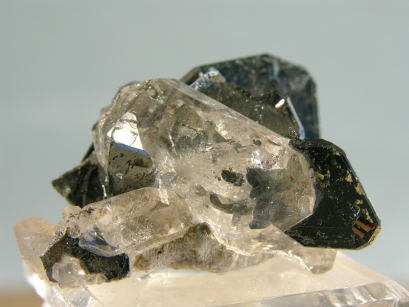 Mirror faced hematite blades are accompanied by clear, doubly terminated quartz crystals with a couple of small rutiles perched on one of the hematites. Old European classic.